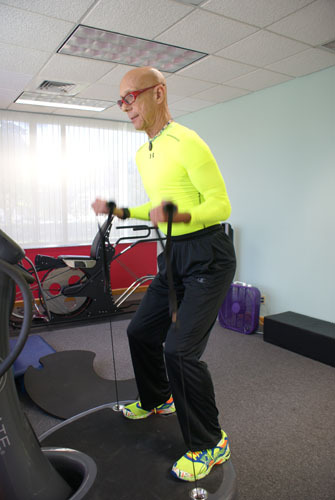 RonnieG’s powerful personal training programs are designed to keep your body flexible, strong and healthy at any age. You’ve heard the old saying without pain there is no gain. Not true at RonnieG Fitness in Naples, Florida. Ronnie makes YOUR fitness plan work for YOU! So outside of feeling like you’re killing yourself, how can you get in shape? Customized Fitness Plans – Maximize your time with Ronnie and on your own. Massage – Sports and Swedish Massage offers the diversity of rehabilitation, flexibility improvement and relaxation. Massage helps improve overall fitness and detoxing of the body. Purium Organic Food – In addition to a balanced food plan, Purium products offer holistic and purified methods of nutritionally feeding and cleansing the body. Ronnie also offers organic weight loss nutrition plans. (Learn more about Purium). and the second half of our lives spending our wealth to regain our health."